Obviously, this is a serious challenge to those who believe in a young age for the earth as indicated by Scripture (less than 10,000 years). The cliffs of the Green River Formation strata, Kemmerer, Wyoming. This should tell us that the Green River Formation is no ordinary lake deposit! Modern-day lakes do not provide the conditions needed for the preservation of abundant fossil fish and birds. The Presbyornis fossils are even more problematic. Birds have hollow bones that tend not to preserve well in the fossil record. How were these bird bones protected from scavenging and decay for thousands of years until a sufficient number of the fine annual layers had built up to bury them? ‘Enormous concentrations’ of bird bones are a clear indication that something is seriously wrong with the idea of slow accumulation. Instead, such fossils support the notion of rapid burial. Creationist suspicions about the validity of the varve interpretation were confirmed in a study by two geologists published in 1988.9 Near Kemmerer in Wyoming the Green River Formation contains two volcanic ash (tuff) layers, each about two to three centimetres thick. A volcanic ash layer is an example of what geologists call an ‘event horizon’, because it is laid down essentially instantaneously by a single event, in this case a volcanic eruption. The two ash layers are separated by between 8.3 and 22.6 centimetres of shale layers. If the standard interpretation is correct, then the number of shale layers between the ash layers should be the same throughout the Green River basin, since the number of years between the two eruptions would be the same. 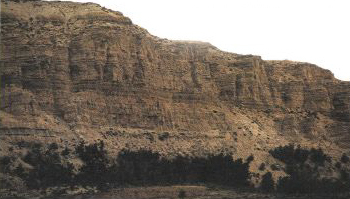 The Wasatch Formation, which underlies the Green River Formation at Fossil Butte National Monument, near Kemmerer, Wyoming. However, the geologists found that the number of shale layers between the ash beds varied from 1160 to 1568, with the number of layers increasing by up to 35% from the basin centre to the basin margin! The investigators concluded that this was inconsistent with the idea of seasonal ‘varve’ deposition in a stagnant lake. Given the right conditions, thinly-laminated muddy sediments can and do form by rapid sedimentation. Contrary to claims by old-earth proponents, long periods of time are not demanded. Hayward, A., Creation and Evolution: The Facts and Fallacies, Triangle, London, pp. 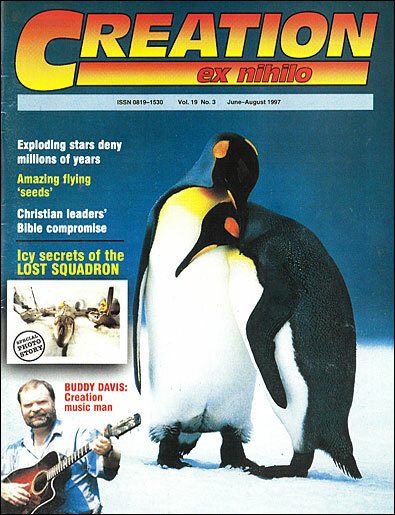 87–88, 1985. Return to text. Stoner, D., A New Look at an Old Earth, Schroeder Publishing, Paramount, California, pp. 78–79, 1992. Return to text. Young, D.A., The discovery of terrestrial history, in Portraits of Creation, H.J. Van Till, R.E. Snow, J.H. Stek and D.A. Young, William B. Eerdmans, Grand Rapids, Michigan, 1990. Return to text. Ref. 3, p. 77. Return to text. Whitcomb, J.C. and Morris, H.M., The Genesis Flood, Presbyterian & Reformed, Phillipsburg, New Jersey, pp. 424–429, 1961. Return to text. Buchheim H.P. and Surdam, R.C., Fossil catfish and the depositional environment of the Green River Formation, Wyoming, Geology 5:198, 1977. Return to text. Feduccia, A., Presbyornis and the evolution of ducks and flamingos, American Scientist 66:299, 1978. Return to text. Zangerl, R. and Richardson, E.S., The paleoecological history of two Pennsylvanian black shales, Fieldiana: Geology Memoirs 4, 1963. Return to text. Buchheim H.P. 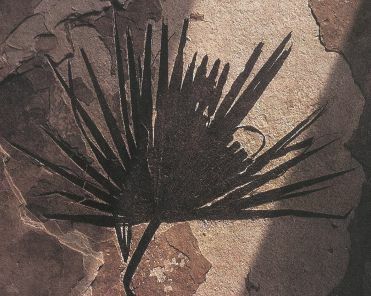 and Biaggi, R., Laminae counts within a synchronous oil shale unit: a challenge to the “varve”? concept, Geological Society of America Abstracts with Programs 20:A317, 1988. Return to text. Austin, S.A., editor, Grand Canyon: Monument to Catastrophe, Institute for Creation Research, Santee, California, pp. 37–39, 1994. Return to text. Oard, M.J., Varves—the first “absolute”? chronology. Part I—historical development and the question of annual deposition, Creation Research Society Quarterly 29:72–80, 1992. Return to text. Oard, M.J., Varves—the first “absolute”? chronology. Part II—varve correlation and the post-glacial time scale, Creation Research Society Quarterly 29:120–125, 1992. Return to text. 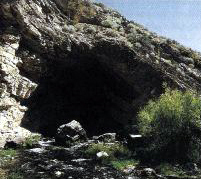 Fineberg, J., From Cinderella’s dilemma to rock slides, Nature 386:323–324, 1997. Return to text. Makse, H.A., et al., Spontaneous stratification in granular mixtures, Nature 386:379–382, 1997. See also Sedimentation Experiments: Nature finally catches up! J. Creation 11(2):125–126, 1997; creation.com/sednature. Return to text. Ball, M.M., et al., The geologic effects of Hurricane Donna in South Florida, J. Geology 75:583–597, 1967. Return to text. Lambert, A. and Hsü, K., Non-annual cycles of varve-like sedimentation in Walensee, Switzerland, Sedimentology 26:453–461, 1979. Return to text.